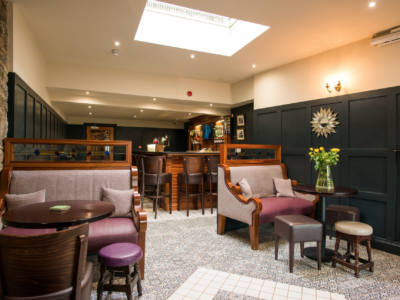 Town House Brief: Contemporary, fresh interior for existing and New clientele. 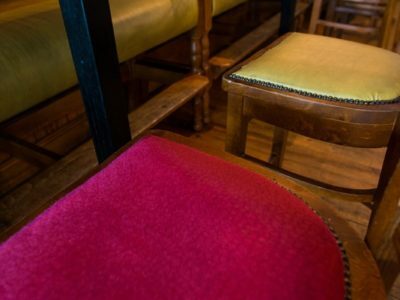 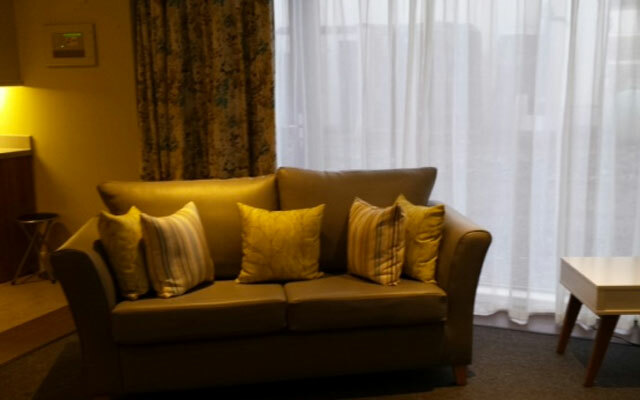 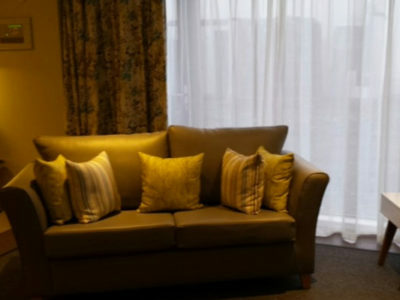 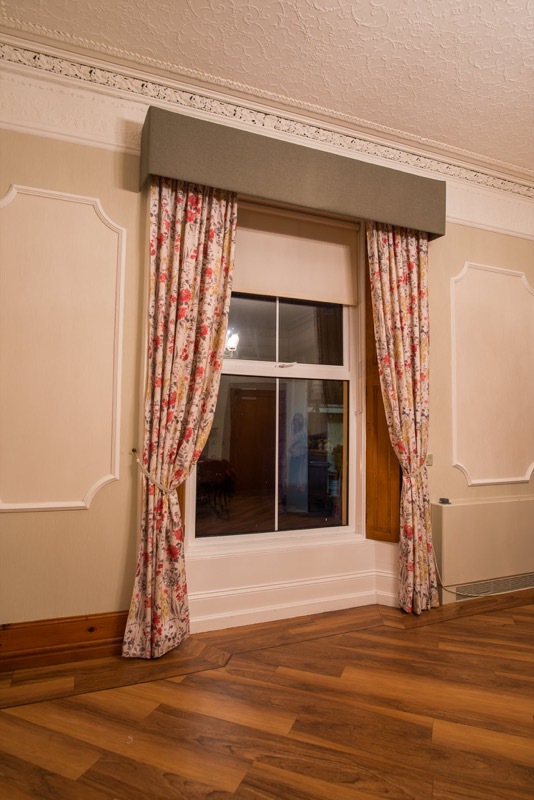 This involved spatial layout, reupholstery, paint and wallcoverings, lighting and accessories. 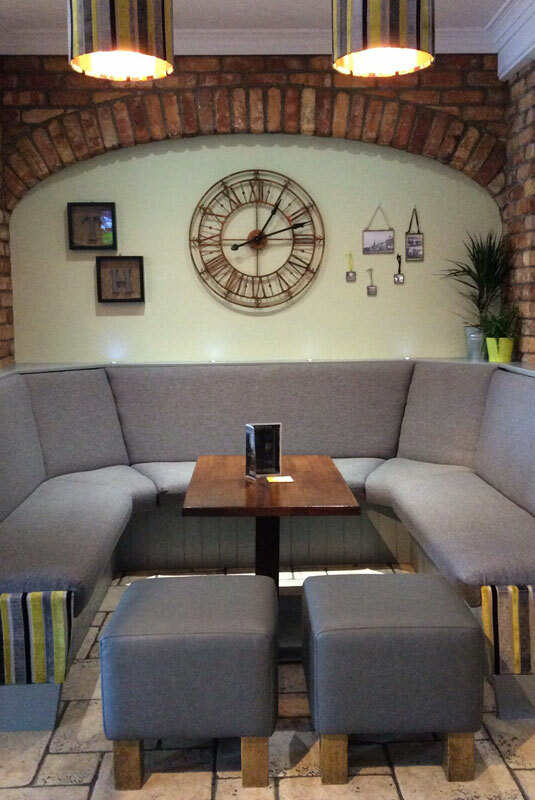 We used cool contemporary chartreuse greens and greys to create the scheme, focusing on zoned seating and a feature wall mural. 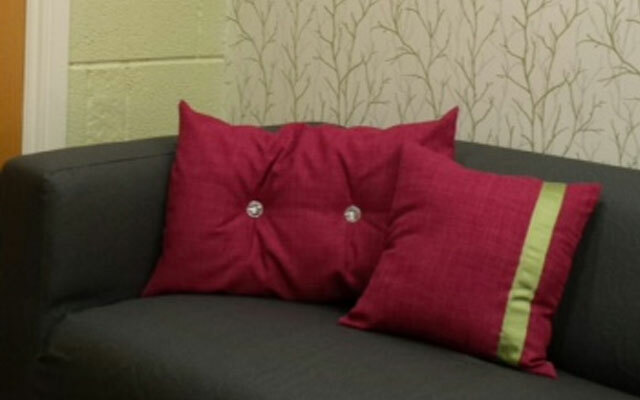 Mid century style accessories and wall hangings we used to create a quirky cool vibe. 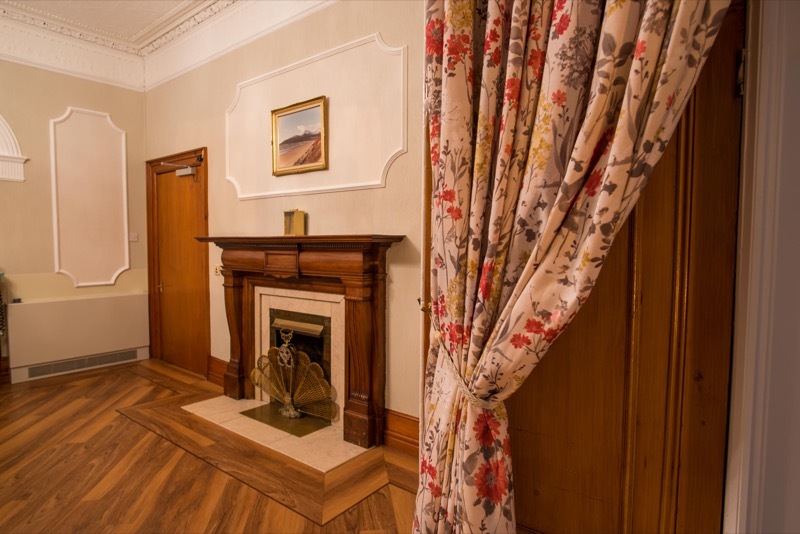 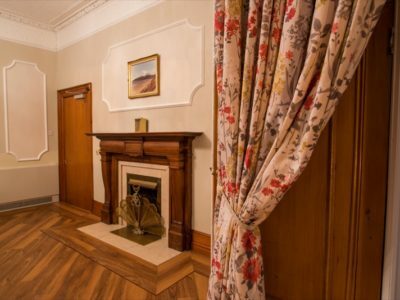 A former gentlemans residence before it was converted into a private nursing home, the house maintains all of its original features like wooden panelled window surrounds, high ceilings and wall picture frames. 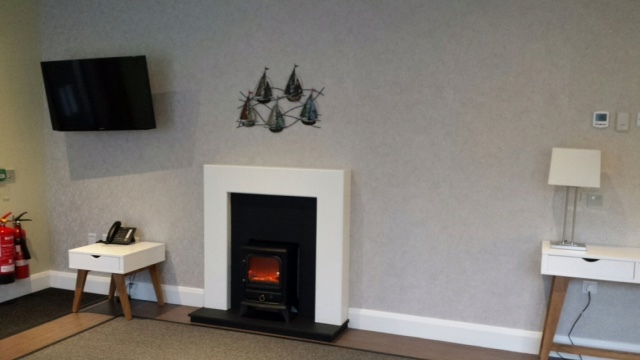 It required updating whilst bringing out the best of these existing features and the clients own furniture. 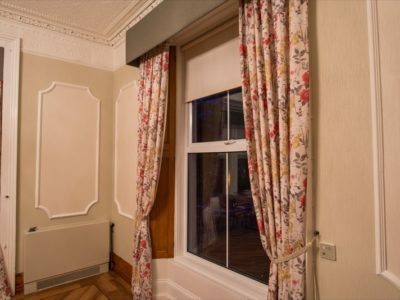 Beautiful country florals and deep pelmets were used to accentuate the gorgeous windows. 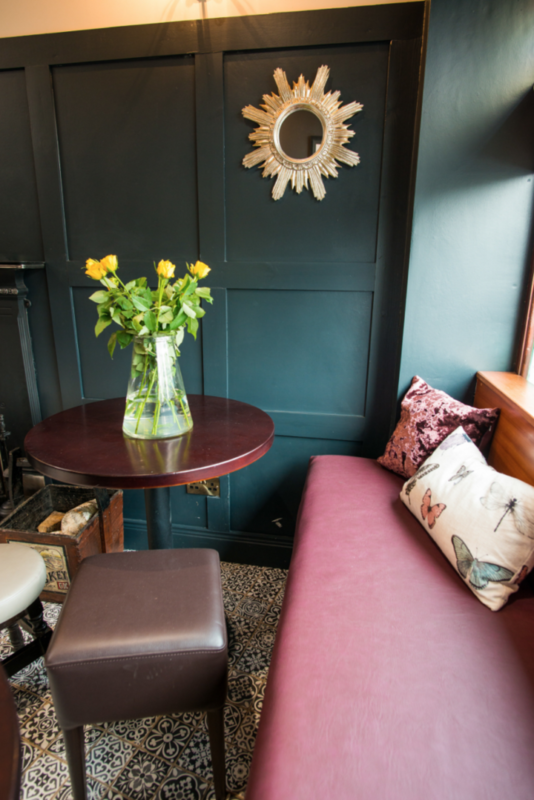 Farrow and Ball colours were used on the walls to coordinate. 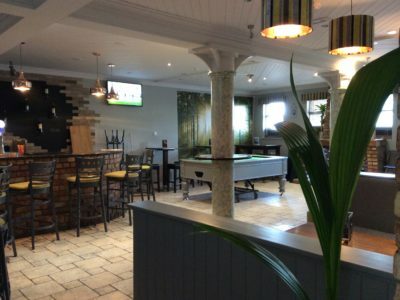 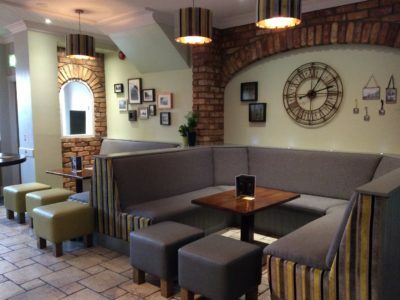 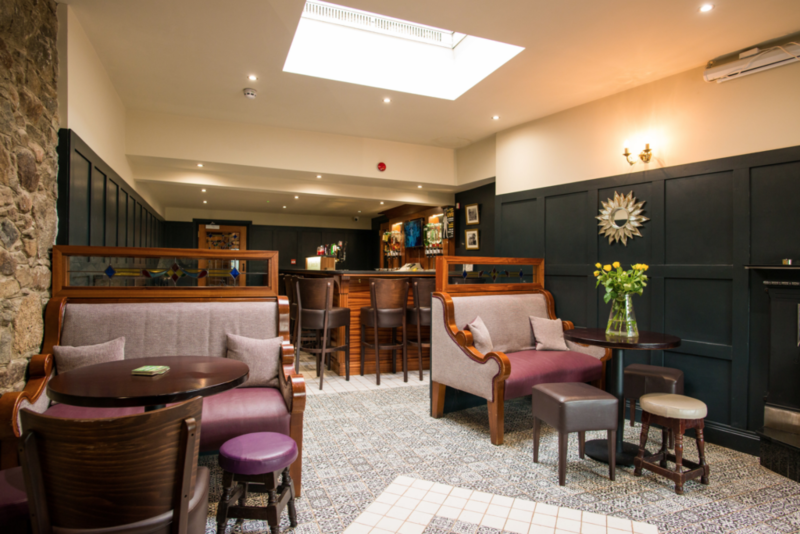 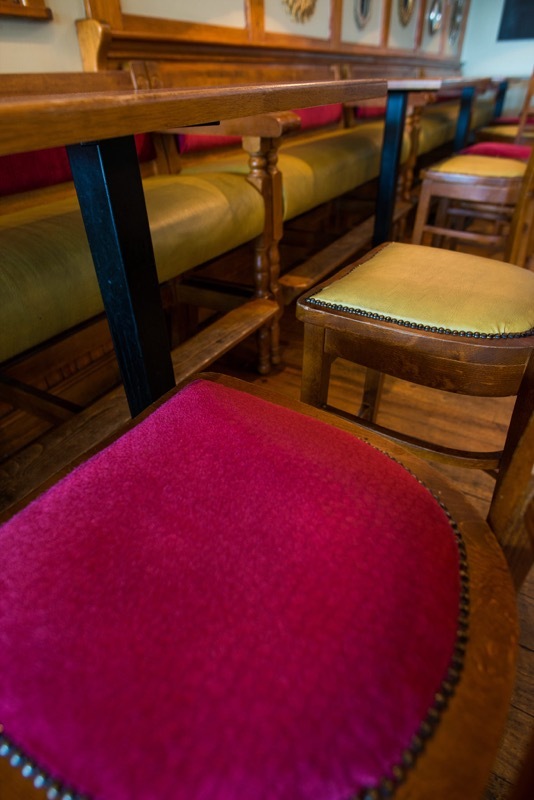 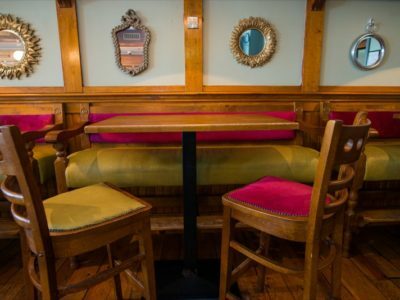 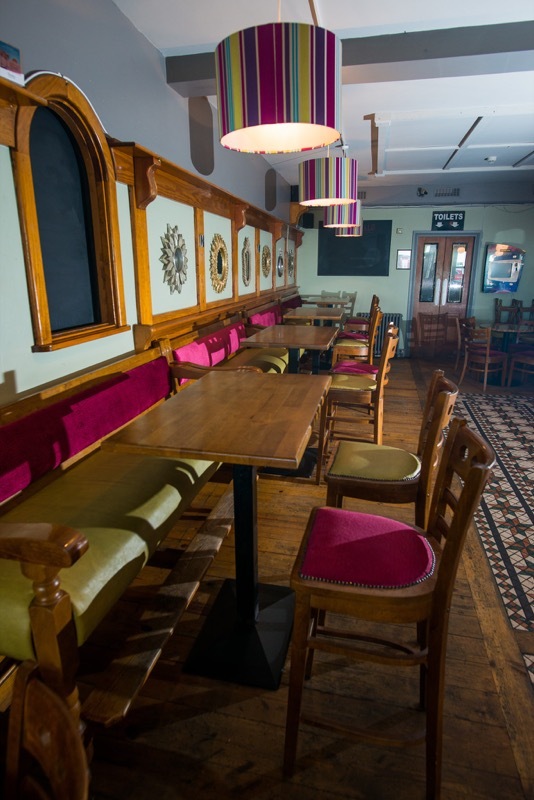 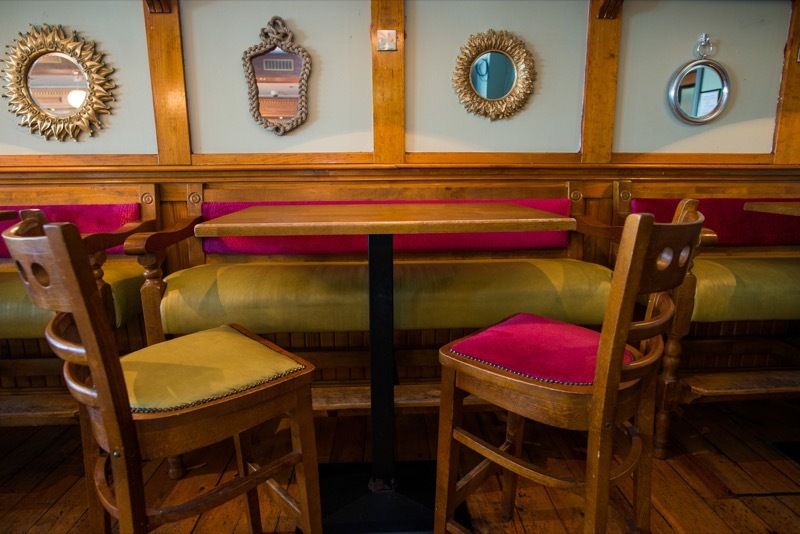 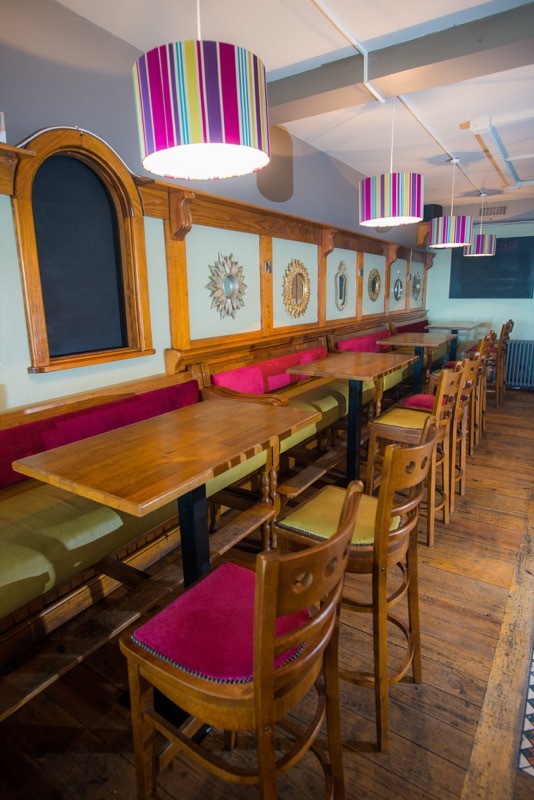 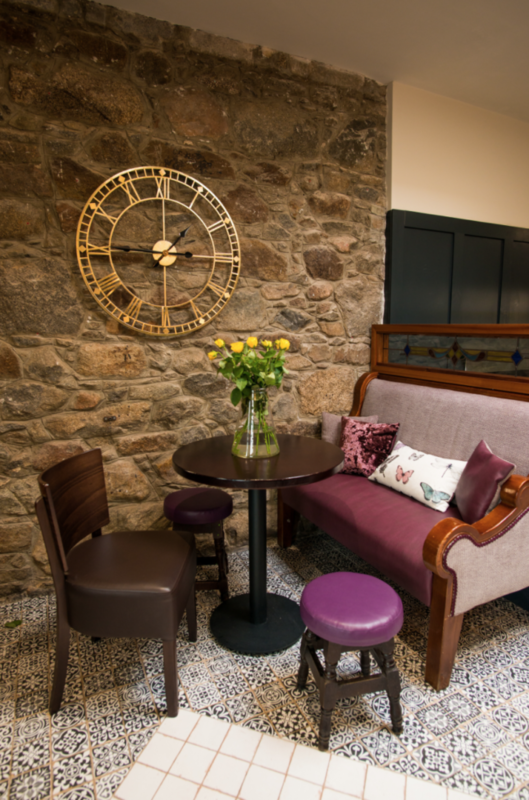 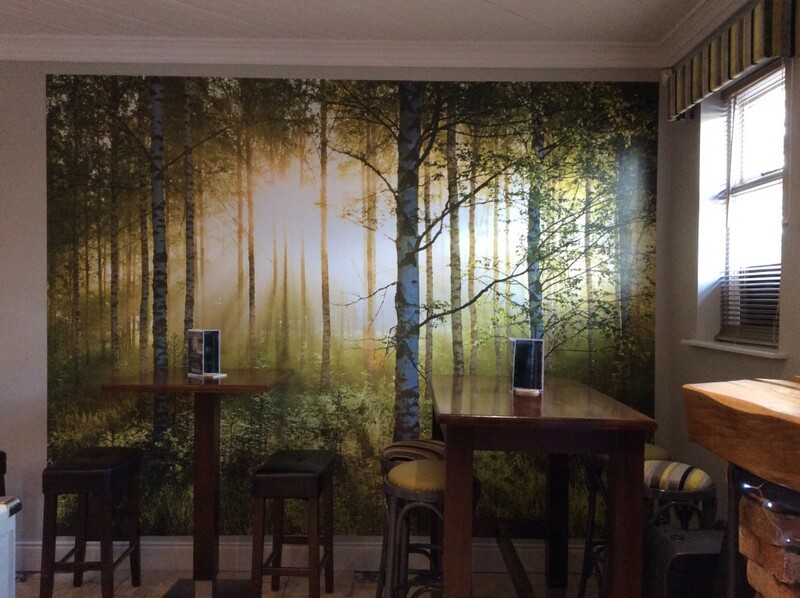 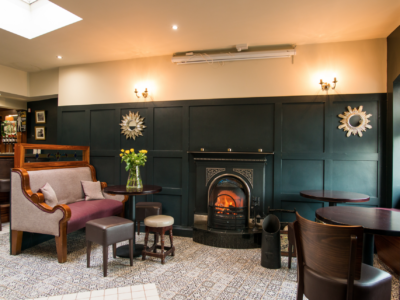 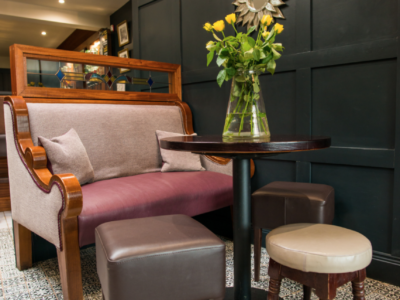 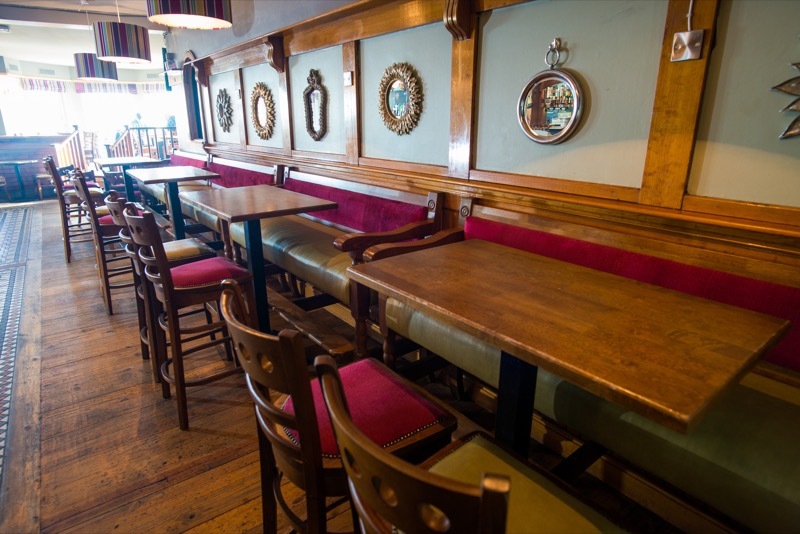 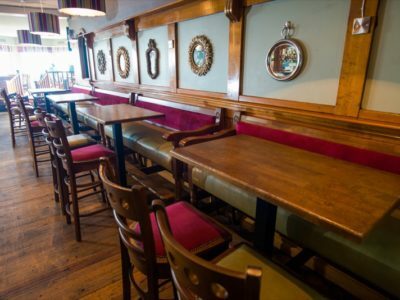 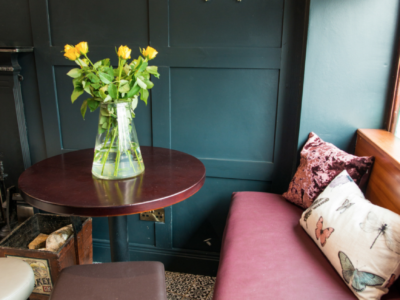 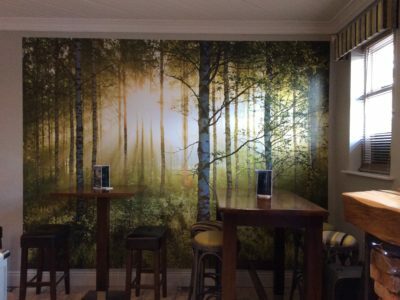 An existing well established Public bar and restaurant was given a new lease of life by the new occupiers. 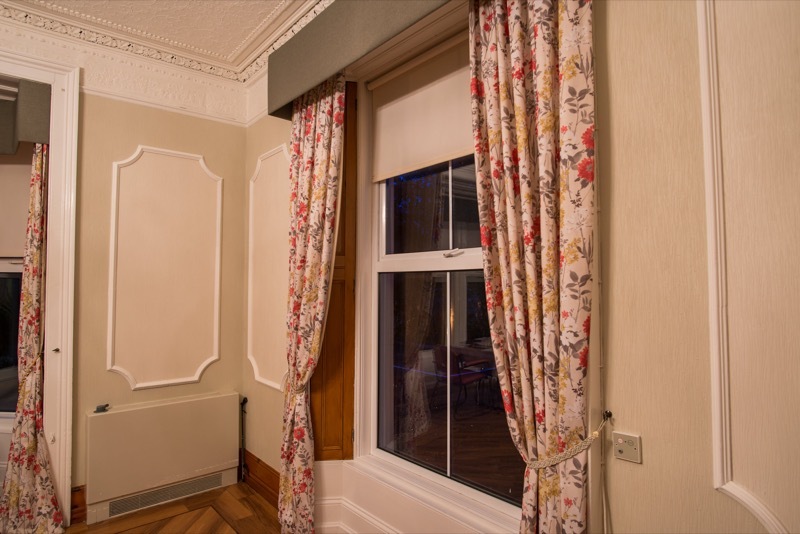 Vibrant pink and kiwi colours upholstery was used to create a lush scheme and coordinated throughout in the roman blinds and matching shades. 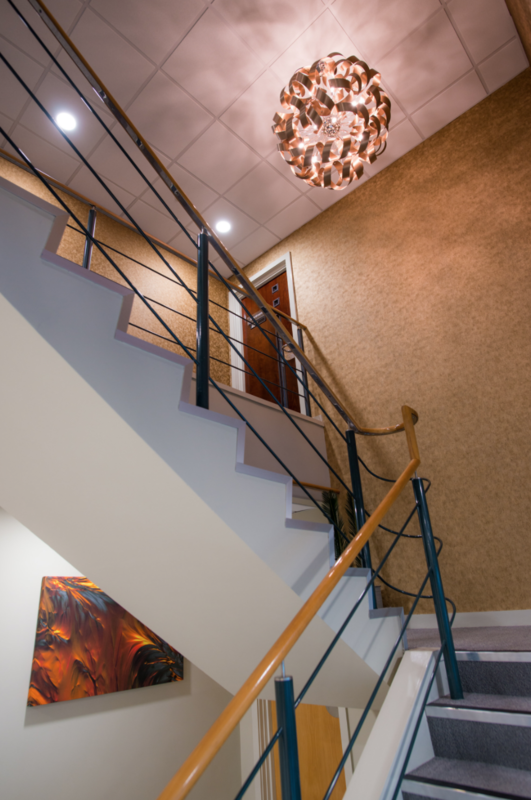 This was a complete makeover for the clients. 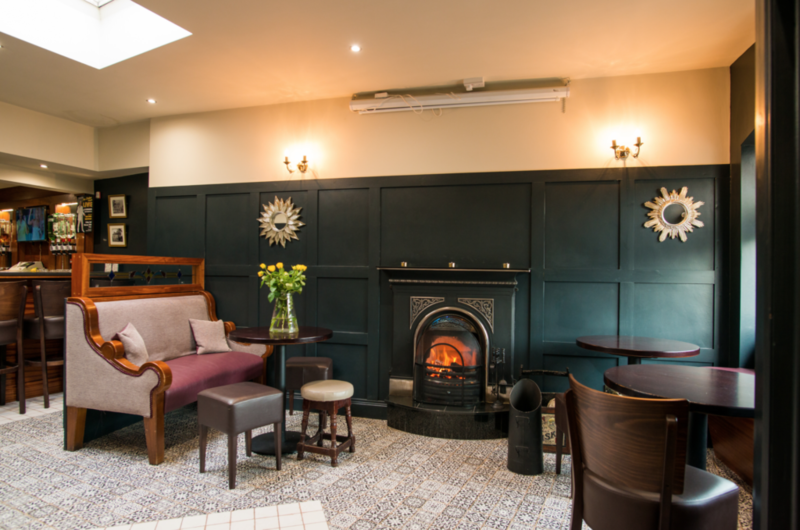 The scheme was based around panelling, moody black blue wall colour and fabulous black blue Spanish tiles throughout. 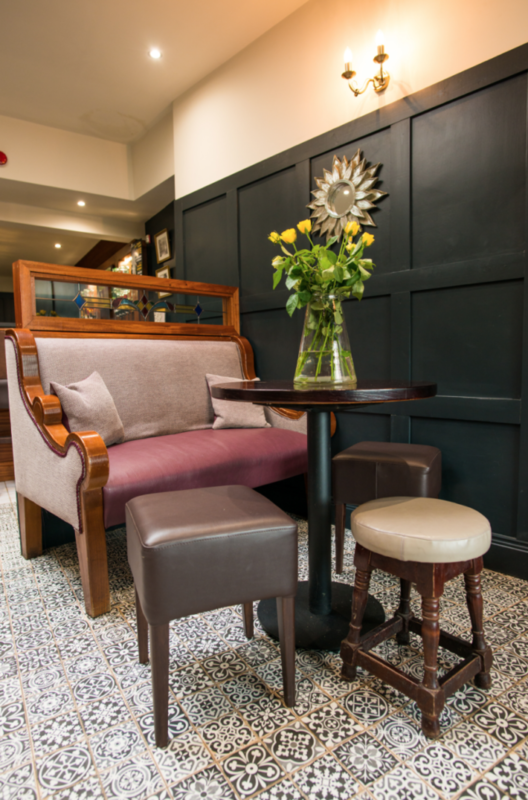 The scheme was softened using damson upholstery, walnut furniture and gold pictures and mirrors. 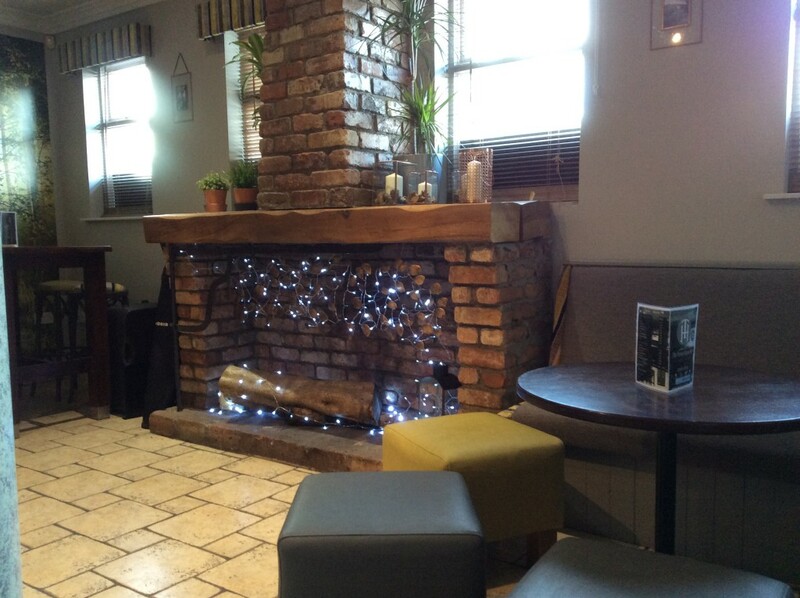 The exposed stone wall and cast iron fireplace help create a warm and welcoming space to relax for both female and male clientele. 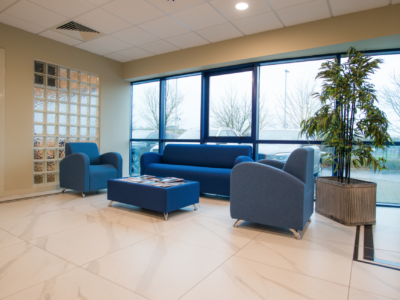 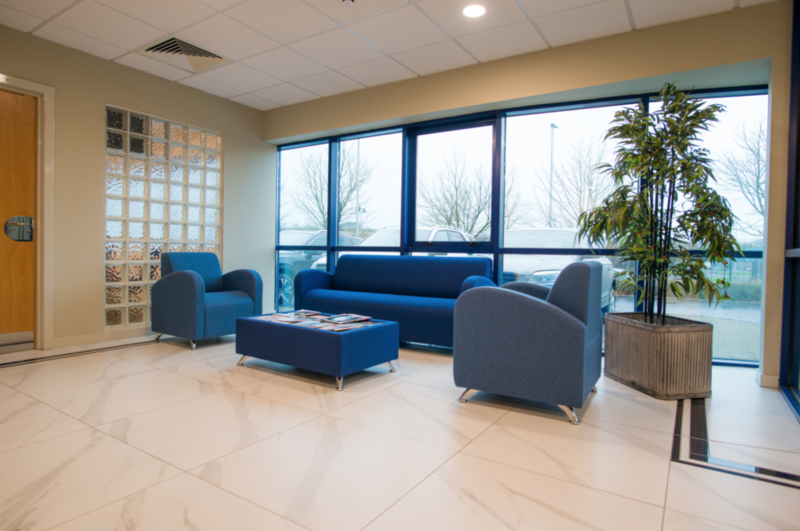 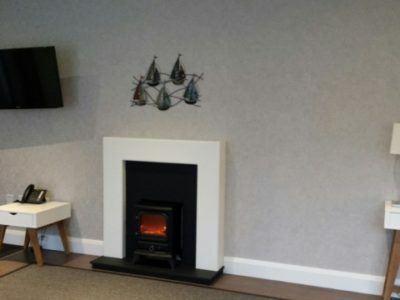 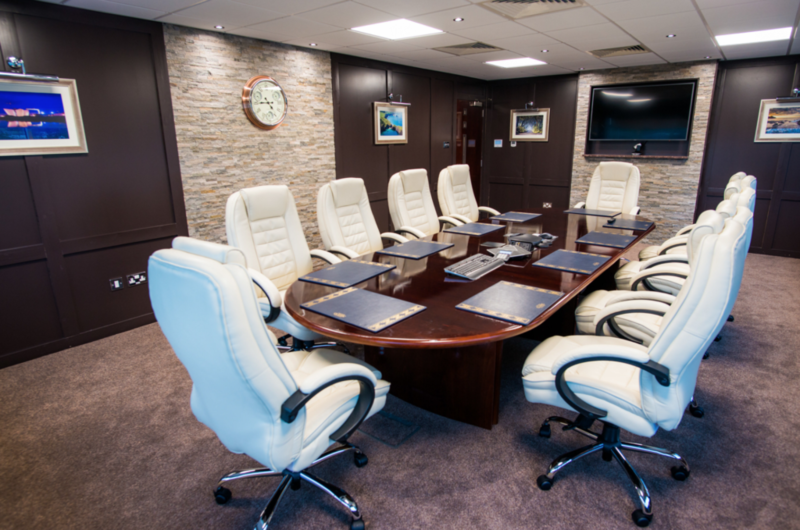 The brief was to create an interior the owners and employees were proud to receive potential customers, functional meeting rooms and training room, fantastic employee breakout areas and coffee stations, bathroom facilities and an 80 seat fully self serviced canteen for the employees. 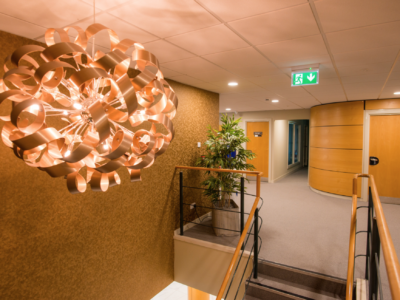 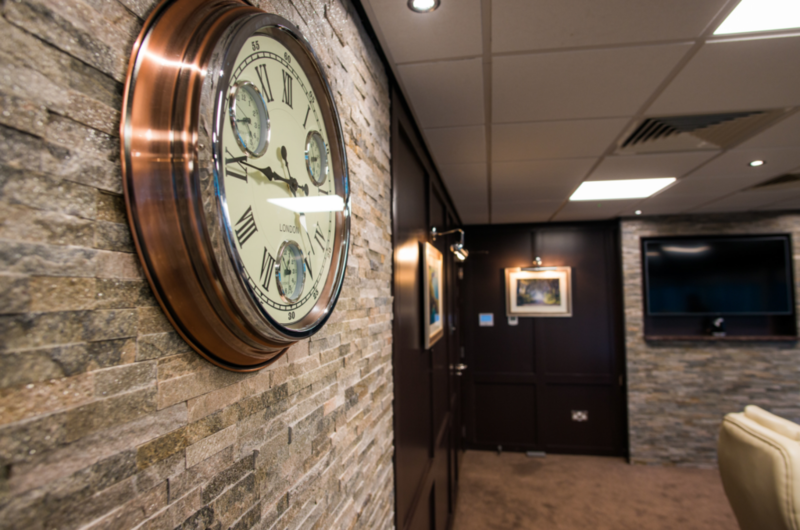 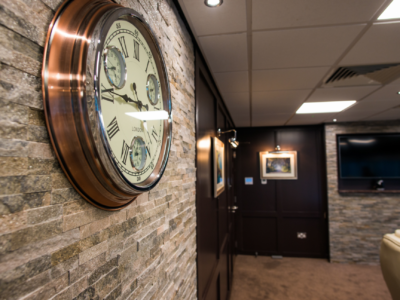 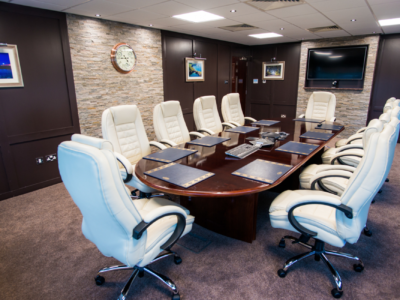 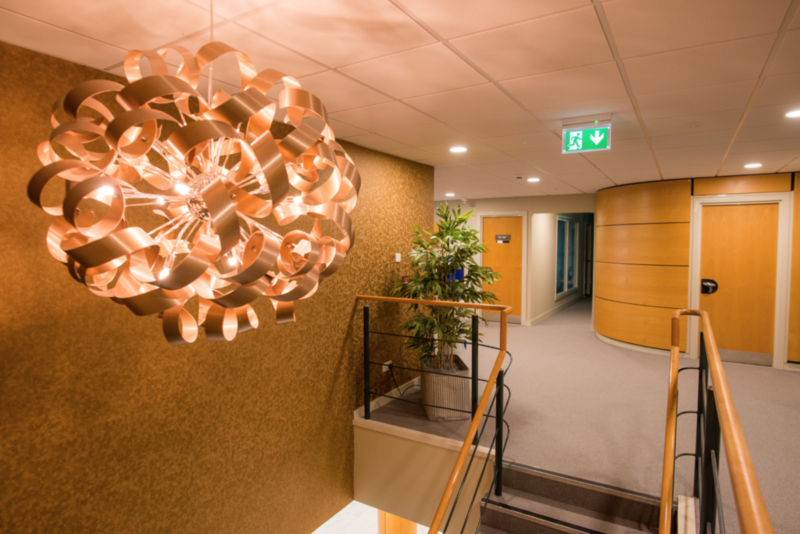 Company colours were used throughout to create a cohesive design that reflects the nature of the business and an impressive boardroom created to also reflect the high level of service the company are now synonymous with. 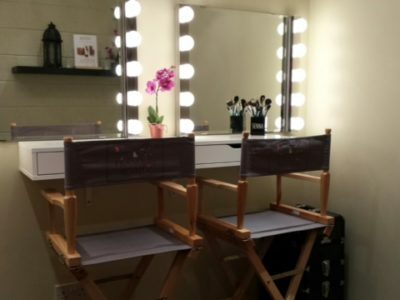 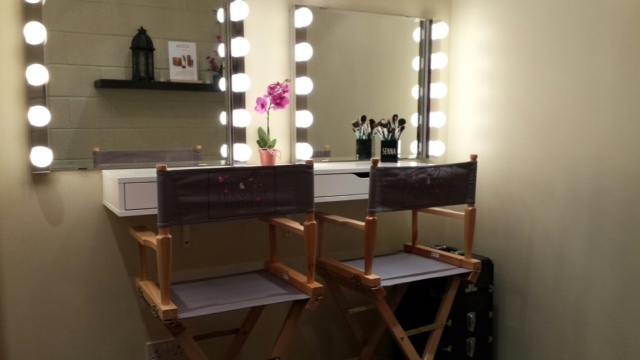 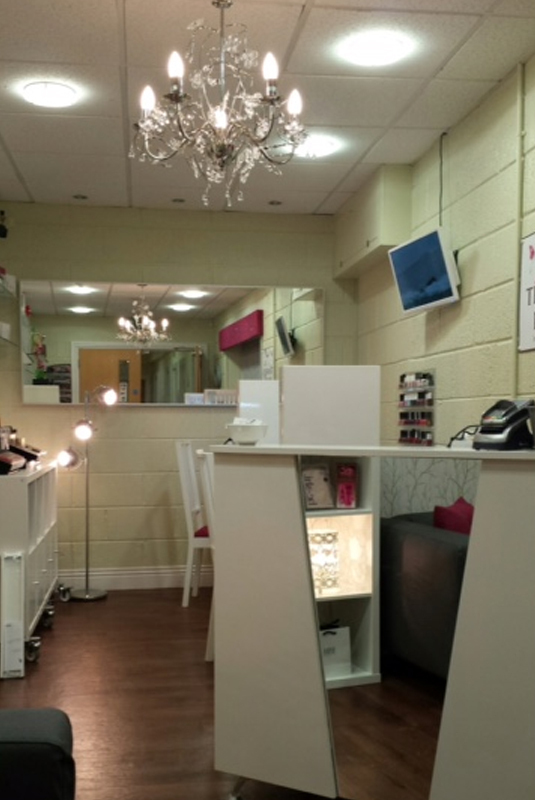 A salon revamp to celebrate 10 years of trading. 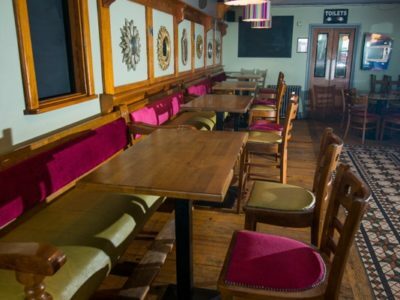 The corporate colours were used throughout, fuchsia, green and grey and the spatial layout was changed to make the most of the floor space. 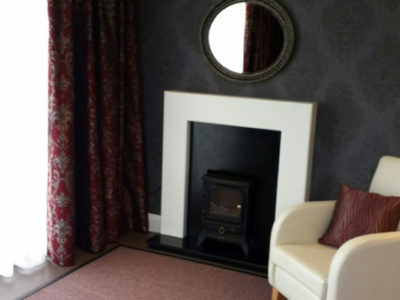 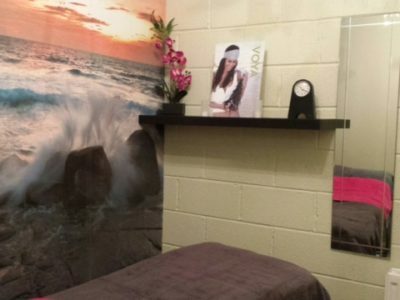 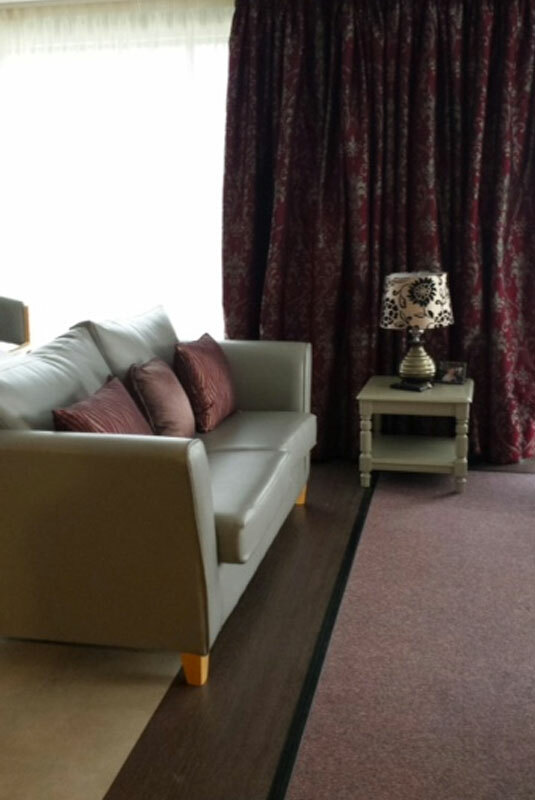 New flooring was laid, furniture and soft furnishings sourced and a beauty room fully functional work station designed and implemented. The result is a fresh contemporary feel, ready for the next 10 years! 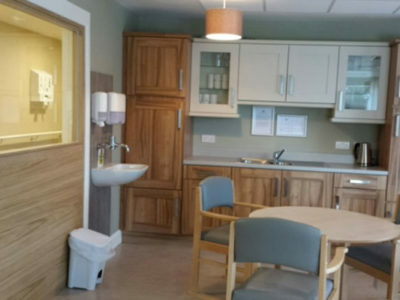 This included extensive on site project management of the Interior design scheme to include 80 bedrooms, most with ensuite, dayrooms, clinical rooms, nurses stations, kitchens and bathrooms. 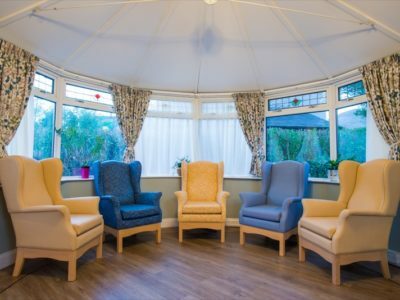 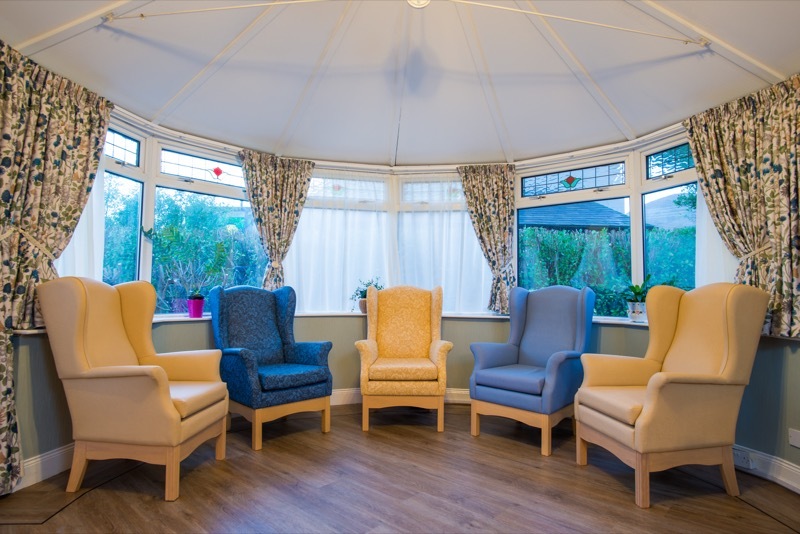 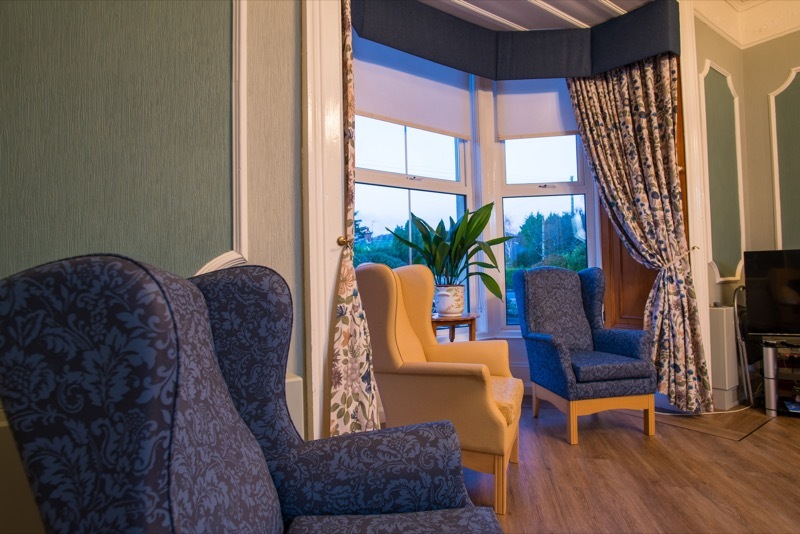 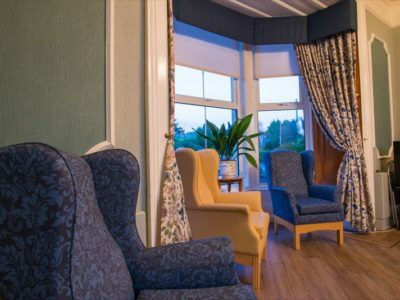 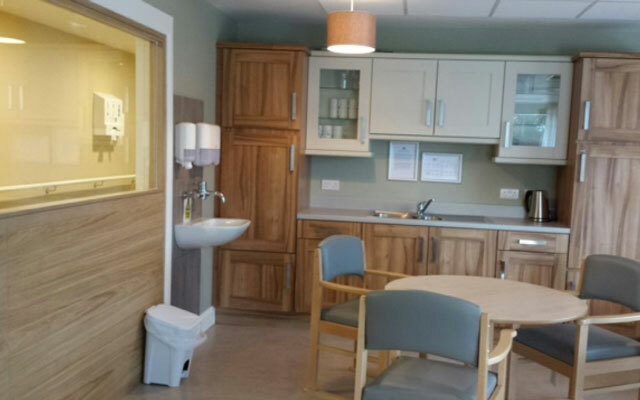 It included specialist commercial flooring, wet rooms, dementia led design, built-in bedroom furniture and specialist fabrics. 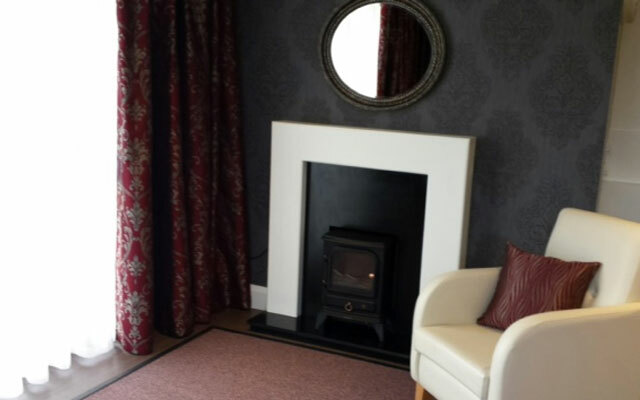 This resulted in a high end spec which still has a home from home feel for the residents and their guests.